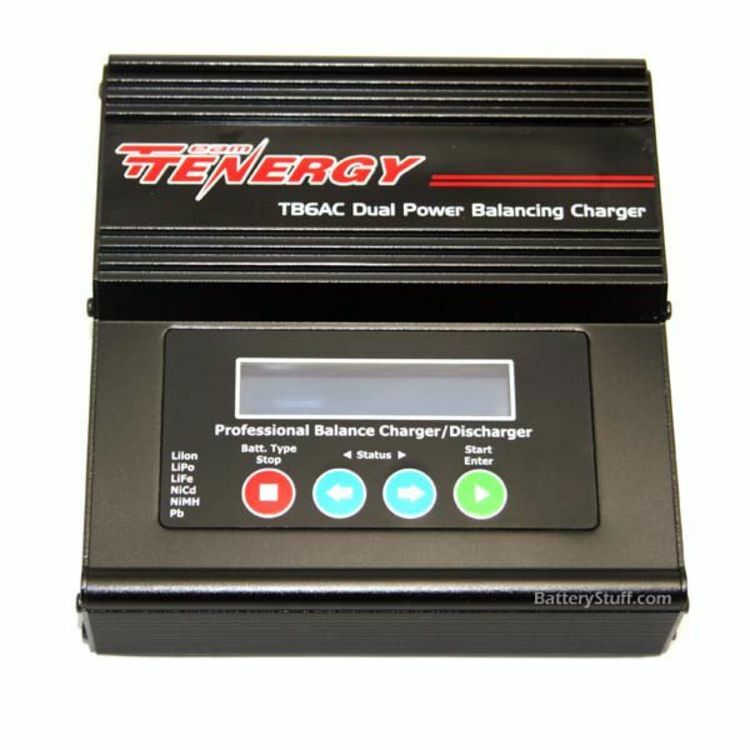 Tenergy's Smart Universal Battery Pack Charger TB6AC (T-01322), with built in AC power supply, is one of the most advanced smart chargers in the market. The TB6AC (T-01322) can accept a wide variety of batteries and battery packs including: Lithium Ion (Li-Ion), Lithium Ion Polymer (Li-Poly), Lithium Iron Phosphate (LiFePo4), Nickel Metal Hydride (NiMH), Nickel Cadmium (NiCd), and Sealed Lead Acid (Pb) Batteries. 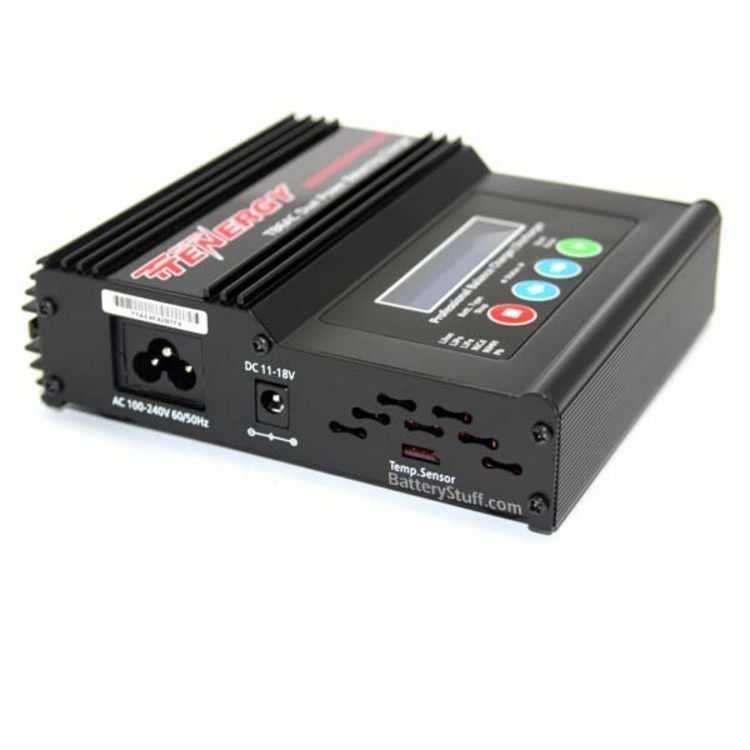 With its ability to fast charge cells it greatly reduces the charging time and its balancing feature ensures that all of the lithium batteries are regulated and conditioned for maximum performance and longevity. 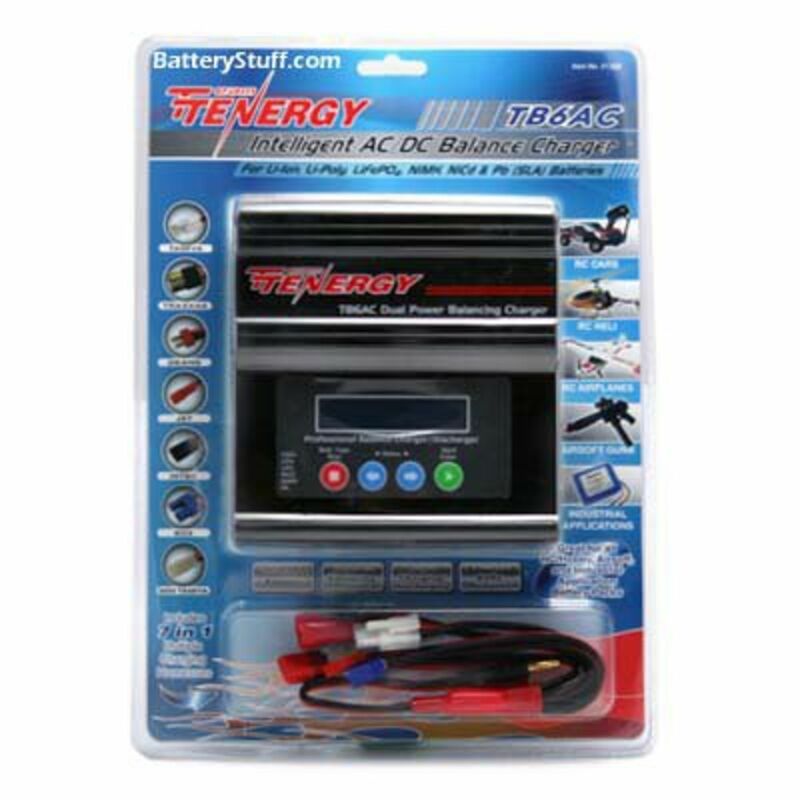 Storage mode controls the final voltage of the battery that is inactive for long periods of time. 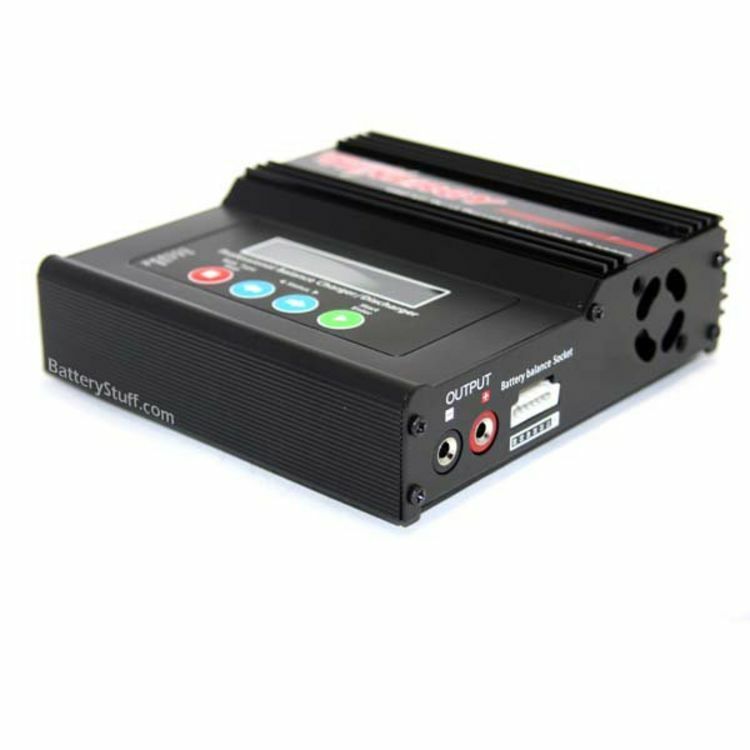 This charger has the added feature of an LCD display and a high quality aluminum case for efficient cooling and durability. Do you own the T-01322? Please, tell us what you think about it. It helps us provide you with better products. Please note that it may take up to 72 hours for your review to appear.